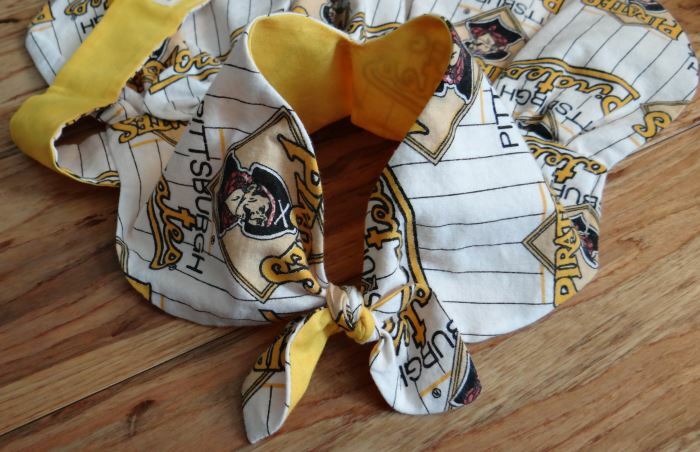 This adorable Pittsburgh Pirates sun dress in XS Size was designed by Bark Avenue Dog Boutique for the little girl puppy. 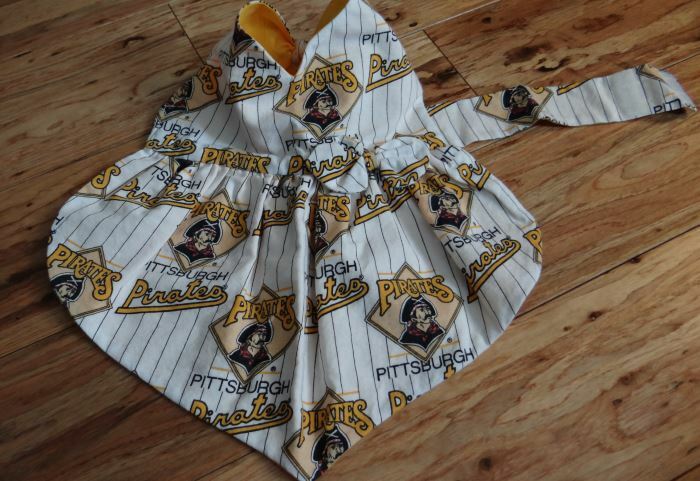 Wearing this sun dress she will be the talk of the town during the baseball season. What better way for her to support her favorite team. 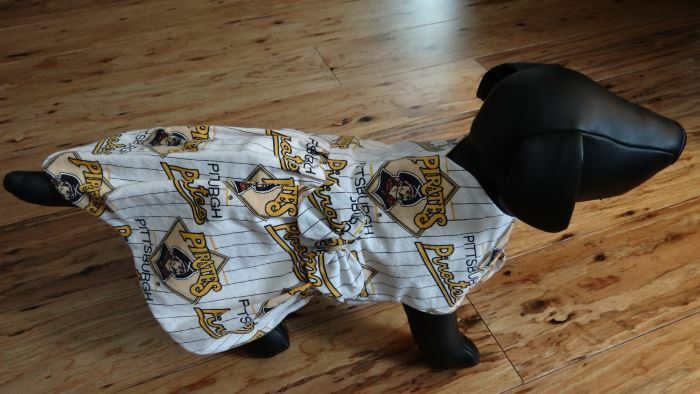 This Pittsburgh Pirates Dog sun dress is a one of a kind dress which means that you will never see another one like it anywhere. 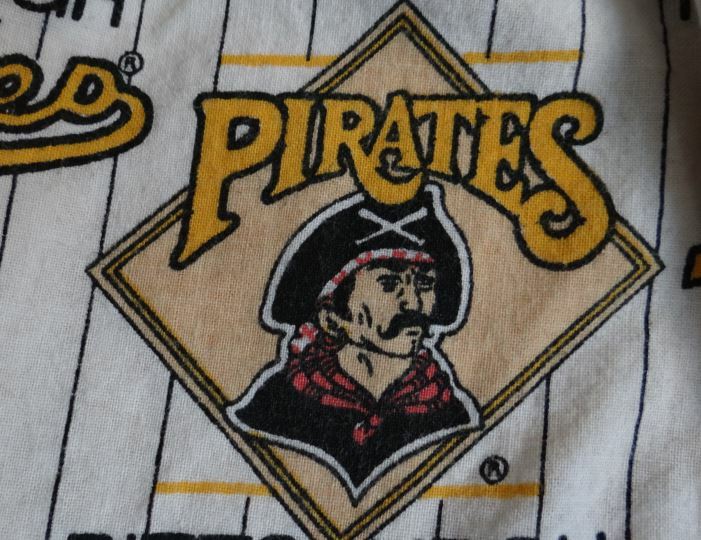 You will be the only one owning a dress like this. 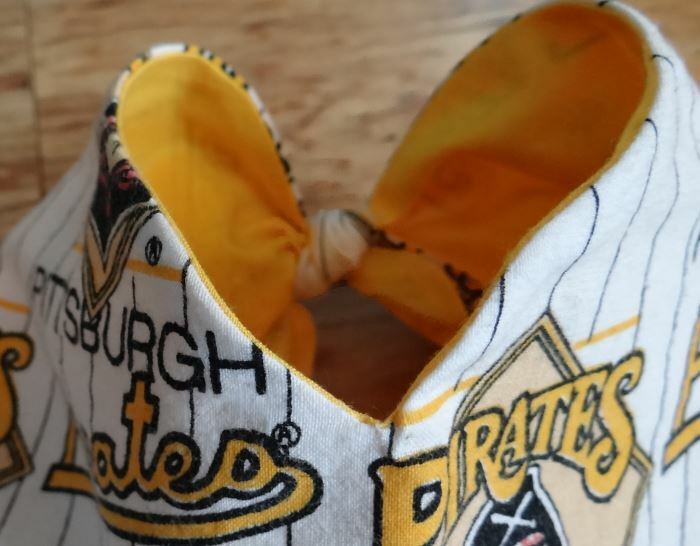 The dress is made of a Pittsburgh Pirates cotton fabric which is white with the black, gold and red pattern printed on it. 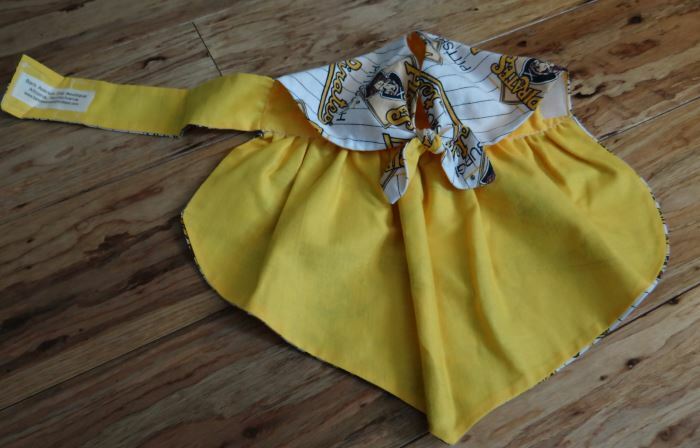 The dress is fully lined with a bright yellow cotton fabric. 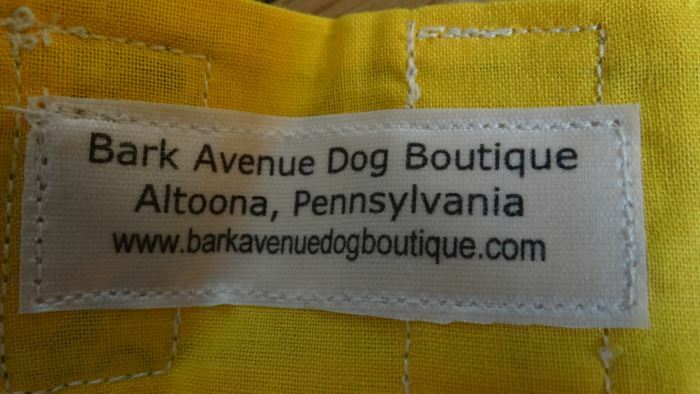 The Bark Avenue Dog Boutique label is stitched inside of the dress onto the lining. The style of the dress is designed to have a waist which is embellished with a bow tie of the same fabric. 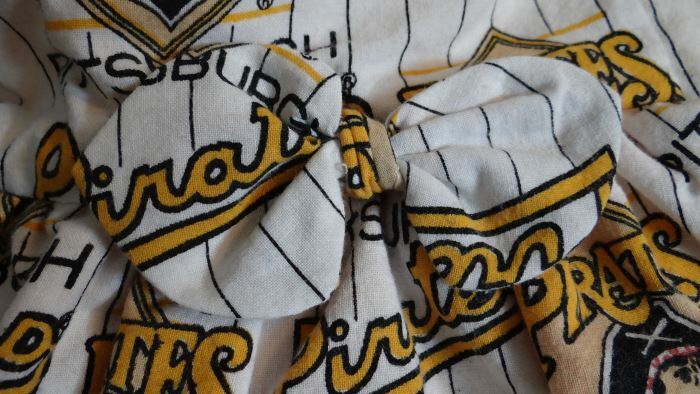 The back of the neck comes to a vee and the front is embellished with a bow tie of the same fabric. The dress velcros under the tummy and. there are two Velcro strips which allow you to adjust the size. The measurements for the dress are 11” around the neck, 12 ½” from the back of the neck to the hemline and 16”-18” around the adjustable tummy. Machine wash and tumble dry, touch up with a warm iron.